A victory for ANC deputy president Cyril Ramaphosa in December’s elective conference is probably now a little more likely than any other outcome. Some sources of uncertainty have diminished. ANC secretary-general Gwede Mantashe has put in place layers of oversight and appeal mechanisms to avert much-anticipated legal paralysis. So far, the courts have steered a prudent path, insisting that parties should (more or less) follow their own rules. The prospect of the conference being postponed or collapsed has also diminished. Nasrec is a fortuitous venue for the management of a chaotic credentials process and for the containment of potential protests. As a former general secretary of the National Union of Mineworkers, Mantashe is one of the country’s most experienced directors of violence-threatened elections. Once the conference gets under way, however, uncertainties multiply. The likely fate of the proposed amendments to the ANC constitution remains obscure. Preconference deliberations between factions suggested there might be a consensus for some reforms, but in the end it will not prove easy to muster a two-thirds majority of delegates. Proposals to introduce a second deputy president and two additional deputy secretaries-general would, if they are adopted, open up fresh and dramatic possibilities for the last-minute reconfiguration of slates. Meanwhile, the current quasi-slates in circulation are curiously malformed. The candidates touted for Nkosazana Dlamini-Zuma’s team demonstrate a fairly single-minded pursuit of delegate numbers. Mpumalanga chairman David Mabuza has been widely nominated for deputy president by branches aligned to Dlamini-Zuma, but Mabuza has remained carefully noncommittal. He may ultimately appear on Ramaphosa’s slate or as deputy president on a “unity” slate. Ramaphosa’s ostensible team includes Mantashe, Paul Mashatile and Naledi Pandor (or perhaps, some insiders sigh, Lindiwe Sisulu after all). This team will secure support most reliably in the Eastern Cape and Gauteng, where the deputy president already has a decisive advantage, but it will not necessarily deliver the overall delegate numbers needed. As Gauteng chairman, Mashatile’s enigmatic attitude towards his proposed election as treasurer-general has not been satisfactorily explained. He has been actively negotiating with proponents of “unity”, so creating the impression that he might be willing to cut a last-minute deal. He is influential, and just young enough to plan ahead for 2022 or even 2027. Those who remain sceptical about Dlamini-Zuma’s campaign — and especially about her ability to run a presidential campaign in 2019 while carrying the Zuma name and legacy — are running out of time. Current treasurer-general Zweli Mkhize has been running a quiet unity campaign since early in the year. Given the significant overlap between his support base and Dlamini-Zuma’s, the two cannot both sensibly run in the ANC’s elections. An apparent lack of enthusiasm for his nomination in the branches now creates a dilemma for his camp. He can only get onto the ballot paper if Jacob Zuma pulls the rug from under Dlamini-Zuma and switches his endorsement to Mkhize. But this would deepen suspicion that she was a stalking horse all along, and would probably generate resentment towards Zuma and Mkhize alike. 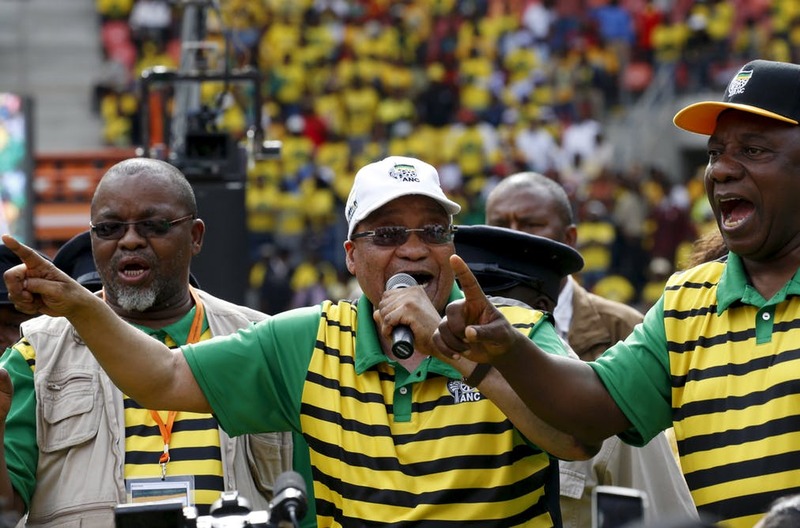 Zuma probably has some final gambits to play, but they are all potentially counterproductive. A long-awaited smear campaign linking Ramaphosa to international capital has not yet materialised. Electable leader, EFF coalition, or ballot rigging? When — or rather if — the ANC meets in Gauteng on December 16 to elect a new party leadership, many delegates will have the 2019 elections on their minds. Across two decades of one-party dominance, the movement seemed largely immune to serious electoral challenges, at least outside the Western Cape. This allowed ANC governments to act quite decisively, and sometimes to take unpopular decisions, without the fear of a fatal backlash from voters. But it also resulted in a significant degree of inattention to the demands of competitive electoral politics in a representative democracy. In 2016, however, the ANC’s leadership suffered a serious blow to its confidence in the local government elections. The growing disarray of Jacob Zuma’s administration and the sudden prominence of significant opposition parties with black leaders further increased the pressure on ANC election planners. The electorate itself has been undergoing a quiet transformation. In the first decade of democracy, as many as nine out of 10 voters identified closely with a particular party. But in recent years, a growing number of citizens have become “floating voters”. This suggests an increasing willingness to use evaluations of party performance to inform electoral choices. In such circumstances, Nkosazana Dlamini-Zuma would be a curious choice for party president. Indeed, her election would perpetuate the ANC’s dangerous habit of taking its voters for granted. She is linked by her name, and by her networks of associates, to the incumbent. She is a campaign manager’s worst nightmare. Activists may try to comfort themselves that there are two ways in which the ANC can survive the self-inflicted wound of a Dlamini-Zuma victory. First, the winning faction could reach an accommodation with the “external faction”, known as the EFF. If ANC support falls to 45%, this argument runs, the EFF’s 10% would be sufficient to retain control at national level and in the province of Gauteng. The basic arithmetic cannot be faulted. However, the red berets will have to pretend to campaign strongly against the ANC if they are to attract voters. A semisecret coalition deal is a high-risk strategy that depends on an unstable combination of deeply cynical EFF leaders and utterly credulous EFF voters. A second strategy would be to rig the 2019 elections. Institutional obstacles to accumulation, such as the Hawks, the National Prosecuting Authority and the South African Revenue Service, have been dismantled and swept aside in recent years. Destabilising the ramshackle “independent” Electoral Commission of SA would be a relatively simple challenge for our expert masters of institutional destruction. The key, however, is that it will be impossible to rig elections without citizens knowing they are being rigged. While one recent Afrobarometer survey suggested that six out of 10 citizens might hypothetically forgo elections if an unelected government could guarantee housing, jobs and the rule of law, substantial majorities nonetheless continue to reject autocracy, military rule and one-party rule. While dubious internal elections are largely seen as a party’s own business, there will be very little popular tolerance for a political party that is caught rigging national and provincial elections. Most ANC delegates will probably decide that advance coalition deals and crude election-fixing efforts are high-risk gambles that are best avoided altogether. They may feel that a simpler path to follow is to choose an electable leader at the conference in December. • Butler teaches public policy at the University of Cape Town. ANC deputy president Cyril Ramaphosa’s campaign for the presidency of the ANC took an intriguing turn last weekend. At a rally in Limpopo, Ramaphosa departed from the usual ANC script by suggesting specific candidates for nomination to Top 6 positions in advance of December’s elective conference. Together with the long-anticipated promotion of Gauteng chairperson Paul Mashatile, current secretary-general Gwede Mantashe, and former KwaZulu-Natal chairperson Senzo Mchunu to high office, Ramaphosa urged his supporters to nominate Science and Technology Minister Naledi Pandor to be his deputy. Given the political imperative to have a woman close to the top of the slate, Human Settlements Minister Lindiwe Sisulu has long been touted as the most likely candidate. In some respects, the profiles of Sisulu and Pandor are similar. At the national executive committee (NEC) elections in 2012, Sisulu was the second-ranked woman (below only Nkosazana Dlamini-Zuma). Pandor came a close third. Both leaders survived the transition between the presidencies of Thabo Mbeki and Jacob Zuma. Like Sisulu, Pandor is too old to succeed to the ANC presidency in 2027. This makes her a popular choice for deputy president among younger contenders for the ultimate prize. Each candidate comes from a distinguished struggle family. Pandor’s grandfather, ZK Matthews, was a legendary intellectual who mentored Nelson Mandela, OR Tambo, and Mangosuthu Buthelezi at Fort Hare. Pandor’s more controversial father, Joe Matthews, was also a prominent ANC leader, and a member of the central committee of the South African Communist Party in the 1960s. He ultimately found a political home in the IFP and served that party in the government of national unity. Despite such superficial similarities between Sisulu and Pandor, however, the nomination of Pandor holds distinct advantages for the Ramaphosa team. She is less given to self-aggrandisement than Sisulu. She would certainly not become embroiled in exchanges over the relative merits of exile and trade union struggle histories, as Sisulu has managed to do in recent weeks. Pandor has been a successful minister, adroitly handling a complex education portfolio, and securing significant achievements — such as a major stake in the Square Kilometre Array project — in her first term as Science and Technology Minister. Behind the scenes, Pandor has been involved in the Cabinet’s budget process, in which capacity she will have developed a grasp of the complex trade-offs that effective government demands. For an aspiring state president such as Ramaphosa, Pandor might appeal as a deputy president who could shoulder a large part of his heavy executive load. Within the ANC, Pandor is a good citizen, chairing the NEC’s education and health sub-committee, and serving on the national disciplinary committee of appeals. A key member of the ANC’s major task-team investigation of candidate list-rigging before the 2011 local government elections, she knows the grubby truth about how the movement actually functions at sub-national level. The 2019 national and provincial elections could turn on the moral probity of the new ANC leadership. Pandor appears to have an unblemished record in government. Although the full truth is not yet known, rumours about her tenure at Home Affairs, from 2012 to 2014, suggest she will not cross ethical lines to secure personal advantage. Citizenship regulations were becoming controversial. Mooted changes to black economic empowerment (BEE) policy — apparently emanating from President Jacob Zuma’s camp — proposed that black persons naturalised after 1994 should enjoy the same BEE benefits as those who actually suffered from unfair discrimination under apartheid. It is just such changes that have been one source of controversy in Mineral Resources Minister Mosebenzi Zwane’s proposed revisions to the mining charter. It is likely that the Gupta family sought South African citizenship while Pandor was minister. Their application would have been turned down by officials on the grounds that the applicants did not all meet necessary residency requirements. Pandor was demoted after the 2014 elections — she was returned to the science and technology portfolio — and Malusi Gigaba took up the Home Affairs mantle from May 2014 to March 2017. When the Gupta family was denied citizenship in 2015, Gigaba simply over-ruled his officials and granted them early citizenship. Ministers who draw a line in the sand, and accept demotion in consequence, are currently in short supply. If it turns out that Pandor is one such minister, she may prove to be an important electoral asset for the ANC in 2019. Will the ANC conference get postponed? How likely is it that the ANC’s December elective conference will be postponed? Or could it simply collapse under the weight of legal, political, or logistical difficulties? One expert survey by a leading bank placed the chances of postponement at an alarming one in three. There are fears that an avalanche of legal challenges — concerning membership counts, branch audits, and delegate selection processes — will be added to existing disputes about provincial leadership elections in KwaZulu-Natal and the Eastern Cape. Such legal cases are based on claims that officials had disregarded, or inconsistently applied, the ANC’s own rules and processes. The judiciary faces a stern test if it is to avert the economic and political catastrophe that a legal stalemate would bring. Fortunately, most judges recognise that contestation and confusion are inevitable in the internal party politics of any middle-income democracy. They may also be impressed by the systems that have been put in place by the ANC to ensure timely reporting of disputes and alleged rule infringements. Justices will be alert to the danger that well-resourced factions will surround spurious legal cases with clouds of carefully manufactured “evidence”. Violent disruptions designed to justify scrapping the elective conference cannot be ruled out. But the unions are committed to the process, and opposition parties such as the EFF cannot legitimately intervene in ANC elections. Even if some student leaders have allegedly been on the Zuma faction’s payroll, university protests will be at best tangential to the conference’s business. 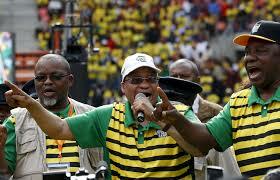 Many activists fear the ANC elections of the top six and national executive committee will be rigged. But conference balloting is likely to be a slow, manual, and transparent process, which will make gross fraud and manipulation difficult. There are three further reasons to support hopes that the conference will not be postponed or derailed. The ANC faces a fundamental electoral threat in 2019, from which no provincial leadership can be insulated. As David Everatt and Ross Jennings observed in City Press last weekend, Nkosazana Dlamini-Zuma’s election as ANC president could result in the movement losing the national and provincial elections. According to their analysis, Dlamini-Zuma carries a powerful “repellent factor”. Survey evidence suggests her presidency could drive voters away from the ANC in sufficient numbers for the movement to lose its national majority. Postponing the conference makes this problem worse, not better. If Dlamini-Zuma is to be elected ANC president, a plan must be implemented as soon as possible to minimise the electoral damage she could cause. Alternatively, the Zuma faction must shift behind treasurer-general Zweli Mkhize right now. Kicking the Dlamini-Zuma can down the road does no one in the ANC any favours. If the conference is postponed or deadlocked, there will be devastating economic and sociopolitical consequences. The economic goose that lays the golden eggs is already on life support in the emergency ward. Why kill it needlessly, merely to accommodate an ungrateful old man who is on his way out? Furthermore, the ANC has always been kind to its losers. Former leaders have retained their freedom, their money and whatever is left of their dignity. When necessary, tame presidential commissions have been summoned up to rake the sand over their corrupt tracks. Postponing or destroying an elective conference tears up the rules on which this system of mutual protection has been based. If the ANC leadership elections are not allowed to convene, there is no real prospect that any such elective conference will be allowed to take place ever again. Jacob Zuma’s Cabinet reshuffle was one of the last quacks of a lame-duck president. It will be a surprise if new Energy Minister David Mahlobo can advance binding nuclear procurement agreements in the eight weeks before the ANC’s elective conference. The best Mahlobo might hope to achieve is a “consolation prize” deal. Under the auspices of a joint venture between PetroSA and Russian energy vehicle Rosgeo, Mossgas will process hot air and noxious gasses — generated primarily by carbon fuel scientists Prof Gayton McKenzie and Dr Kenny Kunene — into “liquid fuels” and “special payments”. The dismissal of Blade Nzimande as higher education minister is of more interest. Zuma may be planning to rubbish the findings of a commission of inquiry into higher education fees and to declare that White Monopoly Capital must pay. In his eyes at least, this will burnish his radical credentials and help him to prize open the chests of the public sector pension funds. Zuma’s security goons may also hope that the mobilisation of student protest can form part of a wider effort to scupper the ANC’s elective conference. It is rumoured that KPMG has recommended to Mahlobo that they hire ADT as strategic planning consultants to run the student protests. Unfortunately, the company is already on a long-term contract to serve as the military wing of the DA. Meanwhile, a long-awaited probe into Deputy President Cyril Ramaphosa’s links to international capital and the US Central Intelligence Agency (CIA) is apparently on the way. Sources in the intelligence world suggest this report will include the alarming finding that messages were smuggled from the CIA’s Langley headquarters to Ramaphosa inside packages of frozen McDonald’s beef burgers. EFF commander-in-chief Julius Malema provided his own special insights into the meaning of the reshuffle in a media conference on Tuesday. He lauded certain ministers generously, likening the appointment of Malusi Gigaba as finance minister to “placing a rat in charge of the cheese”. This is high praise indeed, given that rats are intelligent creatures with lovable characters, albeit mostly with an imperfect grasp of fiscal and monetary policy. Malema celebrated the divine wisdom of Rev David Mabuza, holy ANC chair in Mpumalanga, who can apparently make his delegates stand up and sit down at will. Mabuza does indeed have one important insight: that the elevation of Nkosazana Dlamini-Zuma to the ANC presidency would render the ANC unelectable in 2019. Malema also said the EFF would not work with the ANC if secretary-general Gwede Mantashe were to be retained in the top leadership. This unscripted remark suggests Malema is indeed preparing to work with the ANC leadership — but with one that does not include Mantashe. Does Malema think he has done a deal with Mabuza to negotiate an EFF-ANC coalition? It may be so. Indeed, he was lobbying on Tuesday for Ramaphosa to ditch Mantashe on the basis that the ANC secretary-general had blocked Mabuza’s inclusion on his slate. Malema argued fancifully that Mantashe wants the ANC presidency for himself in 2027. This is nonsense: Mantashe is 63 and far too old to wait a decade to ascend to the presidency. He may have unwisely expressed a personal preference for a Ramaphosa presidency. The key issue is whether he has put in place systems that will enable a fair and legally robust voting process in December. ANTHONY BUTLER: Can Cyril Ramaphosa rescue SA from ruin? We can now assign roughly equal probabilities to three outcomes at the ANC’s December conference. These are: victory for a slate headed by ANC deputy president Cyril Ramaphosa, a successful counterchallenge from ANC treasurer-general Zweli Mkhize and the postponement, or perhaps collapse, of the conference. The likelihood of any of the other widely touted outcomes – such as a win for Nkosazana Dlamini-Zuma, Jeff Radebe or Lindiwe Sisulu – is becoming vanishingly small. A Ramaphosa victory remains narrowly the most likely outcome. Mkhize still faces significant challenges as he cannibalises the beached whale Dlamini-Zuma’s campaign has become. Meanwhile, a collapsed or postponed conference would have disastrous implications; most ANC activists will strive to avoid it. If Ramaphosa does prevail, a new national executive committee will press for the removal of Jacob Zuma from the state presidency to avert a further economic crisis and institutional implosion. It will also begin preparations for the 2019 elections. Ramaphosa might therefore be president as early as January or February 2018. But what kind of president would he be? There are some positive indicators. Ramaphosa has a strong grasp of finance, business and labour issues. He can manage a large and sophisticated team in complex and sustained negotiations. He is inoculated against corruption by principles as well as by wealth. He has never courted sycophants. Ramaphosa has overseen the creation of new institutions to solve once intractable problems. He is a gutsy champion of black empowerment. In business, his executive management teams have been black, in contrast to those of some other empowerment barons. On the negative side, Ramaphosa can be a micromanager, a personality trait that can exhaust a president. He is also stubborn. Ideologically, Ramaphosa drifted from liberation theology to black consciousness, and then to the ANC’s version of social democracy, flirting with communism along the way. His old communist and union allies believe the heart of a pro-poor radical beats under his conservative suits. Business associates assume he is pragmatic or conservative. In the past, he has convinced diverse constituencies that he is their secret champion. As president, he would have to talk to the nation with one tongue. Sceptics wonder if Ramaphosa is a negotiator or an equivocator. In the recent negotiations over the establishment of a national minimum wage, Ramaphosa demonstrated mastery of a particular style of politics. Zuma presumably hoped to undermine trade union support for his deputy by assigning him this near-impossible portfolio. Ramaphosa emerged with a defensible compromise that also protected his own political interests. The heady promise of a Ramaphosa presidency is that he will combine such leadership and negotiating skills to clean up the Zuma state, reconfigure the ANC and build new institutional and political solutions to intractable problems. The corresponding fear is that the great negotiator lacks the clear ideological compass and policy agenda he will need if he is to push through essential reforms in the face of vested interests. • Butler is the author of the biography Cyril Ramaphosa (Jacana 2013). Ignore people who tell you that leadership succession does not matter. They are wrong. The ANC presidency matters most of all, because it leads almost inexorably to the state presidency. The ANC will probably remain the party of national government — on its own or in coalition with others — after 2019. SA has an executive presidency, housed in a parliamentary system. The incumbent combines the authority of a head of state with control of a party machine. It is true that the power of a leader to do good is limited, but their capacity to create havoc is vast. This is why the notion of prudence is — or should be — so central for those who think seriously about politics. President Jacob Zuma is a remarkable politician. His reign of destruction is proof enough that leadership really matters in human affairs. My suspicion is that Zuma is going to get precisely the successor he has planned for. And it is not Dr Nkosazana Dlamini-Zuma. We have often been told that the succession struggle is a “two-horse race”. In one sense, this is correct. It is in the nature of a relatively fluid factional politics, dominated by the pursuit of resources, that two broad factions will fight for supremacy. There is no point joining a minority grouping. One of the horses is definitely Cyril Ramaphosa. But it is starting to look like Dlamini-Zuma was never really in the race at all. She is a “stalking horse”: a horse-shaped screen behind which a hunter can stay concealed until it is time for him to strike. When Zuma groomed her to compete for the highest ANC office, by sending her to the African Union Commission to acquire seniority, his acute political antennae would already have told him that she could not win in December. He promoted a no-hoper in full knowledge that her candidacy would not fly. Why? Not because he believes she would not allow the prosecution of the father of her children. This is sentimental nonsense. Especially given that she cannot win. As events have unfolded, a third term for Zuma has become almost impossible to conceive, but Dlamini-Zuma remains eminently ditchable: this, after all, is why she is there at all. Just as her un-electability in 2019 has begun to sink in across the movement, a third way, “unity” candidate has magically appeared: Dr Zweli Mkhize. Mkhize is a very capable politician indeed. If, as appears likely, he is nominated for the presidency by a majority of branches in Mpumalanga, he will be on the ballot in December, and so will not have to rely on nomination from the conference floor. Mpumalanga chairperson, David Mabuza, is young enough to wait out two Mkhize terms. He will probably trade his support — and the large number of provincial delegates he will control — for a place as Mkhize’s deputy, in the expectation that he will ascend to the presidency 10 years hence. For his part, Ace Magashule will do anything to secure a national position before he is kicked out by his own Free State troops. Once Dlamini-Zuma withdraws her candidacy — a decision that is effectively Zuma’s to take — Mkhize will cannibalise her support base in KwaZulu-Natal and the ANC’s leagues. He could then campaign on an “Anyone But Cyril” ticket. He would be a credible face for the ANC in the 2019 elections. And he could claim that he is not Zuma’s man. This is an excerpt from Anthony Butler, Cyril Ramaphosa (Jacana 2007). Some ANC veterans – and even more white liberal observers – have struggled to come to terms with the affluence of the new black elite. Journalists love to dwell on ‘ostentatious displays of wealth’. One 1998 polemic ridiculed ‘the readiness of a liberation movement to be liberated into the bourgeois lifestyle of its opponents’. It commented that ‘Daring ties, silk and quasi-military style suits predominate among the male liberators; fancy hats and ostentatious dresses among the newly elevated female elite.’ Ramaphosa was singled out in this attack for his ‘weakness for fly-fishing and single-malt whiskies’. Ramaphosa sees no contradiction between the struggle for justice and the enjoyment of luxury. At times, and by necessity, Ramaphosa has lived a very modest life. Working at NUM in the middle of the 1980s, he was often at his desk for days at a time, with almost no sleep, earning R600 per month. But even as a student, he revelled in ‘bourgeois pleas- ures’ and there was nothing he liked better than to entertain. When he and his school friends took the train from Soweto to Doornfontein for their holiday work in the early 1970s, Cyril loved to dress up smartly ina suit an d tie – and, above all, to buy a first-class ticket.13 At the NUM he would fly first-class on union business. The scholar Padraig O’Malley once asked Ramaphosa about the contrast between Nelson Mandela’s lavish inauguration and the wider poverty of the society. The ANC, after all, had indulged in a three-day post-election celebration at the Carlton Hotel in which ‘even the drapes were done in satin in ANC colours’. Ramaphosa’s comment was that ‘In the end, I think life has to be good for all our people’. Such a statement is consistent with Ramaphosa’s earlier behaviour as NUM general secretary. He would insist – despite the union’s financial deficit – that union delegates must stay at the Johannesburg Sun Hotel. ‘I want the best for mineworkers,’ he would explain, arguing that they deserved to enjoy the same comforts as their mining-house counterparts. Ramaphosa’s version of socialism seemingly demands that equality must be achieved by raising up and not by levelling down. Education, culture and the arts – but also good food, vintage wine, beautiful clothes, and fast cars – should not be reserved to the rich. Why should rich whites monopolise access to material and aesthetic goods? The late Peter Mokaba wrote a discussion paper entitled ‘Through the Eye of a Needle’ that today guides ANC branch members in the choice of their leaders. The biblical reference seems to imply that it is easier for a camel to pass through the eye of a needle than for a rich man to enter the kingdom of the presidency. However, the eye of the needle is in fact an apocryphal gate in biblical Jerusalem providing access to the city after dark. The gate was built low so that a wealthy merchant’s camel would have to be unloaded of its treasures in order that the animal might crawl humbly and unburdened of wealth, on its knees, into the city. In Ramaphosa’s youth, this passage would have been interpreted as concerning God’s insistence that human beings should not be preoccu- pied with money or with the necessities of life: ‘Look at the birds in the sky; they do not sow or reap, they gather nothing into barns, yet your heavenly Father feeds them. Are not you more important than they?’18 Anxiety about material consumption is a sign that one is not yet fully committed to being a child of God. The desire to protect and provide for ourselves demonstrates that we have not yet understood that it is God, and not we, who is in control of the circumstances of our lives. Today’s post-religious Ramaphosa exhibited some real sensitivity to allegations of crass materialism when a spokesman for DaimlerChrysler claimed in 2005 that Cyril had purchased a Maybach 62. The Maybach was priced at R3 million and it was widely reported to boast a television, a DVD player, and a 21-speaker surround sound system. Other adver- tised features included a refrigerator, a heated steering wheel, a golf-bag holder, and a set of fitted sterling silver champagne flutes. Business Day, 11 November, 2016. Commentators and financial market analysts are struggling to figure out the possible implications of Donald Trump’s presidential election victory earlier this week. In such disorienting times, it is helpful to look back at two enduring analyses of the character of the modern presidency, written half a century ago. Richard E. Neustadt’s Presidential Power and the Modern Presidents, first published in 1960, argues that the institutional power of an American leader is surprisingly limited. Prime ministers, premiers, and executive presidents in other countries can issue commands through the state bureaucracy and manipulate the levers of party power to get their way. American presidents, in contrast, confront a vigorous separation of powers, and neither Congress nor the Supreme Court can be bullied into submission. The federal system of government devolves most decisions to state, county, or town hall level. US political culture encourages the defiance of edicts from Washington. And, for all the talk of Republican dominance in all three branches of government, the big two political parties do not really exist at national level between elections. Equally important is the limited control that the president exercises within the executive branch itself. Cabinet secretaries, the heads of government agencies like the Pentagon, and the numerous labyrinthine bureaucracies that stretch across federal, state and local government, offer myriad veto points that can frustrate presidential intentions. To get things done, Neustadt observes, a president must rely on his ‘power to persuade’. As the first citizen, a president can get a hearing whenever he chooses, sway powerful interests inside and outside the bureaucracy, and influence citizens to mobilise behind his values. His effectiveness depends on his reputation in Washington and on his wider national prestige. A President who lacks both can be easily blocked. Trump might wish to dismantle Obamacare, but he will need to put something in its place. He will quickly discover that healthcare reform is a vipers’ nest of populist hazards and intractable commercial interests. Cuts to businesses taxes may make their way through Congress relatively smoothly; a slashing of income tax will be far harder, probably impossible, to accomplish. The same is true of Trump’s anti-free-trade proposals. At best, these offend the values of much of the intellectual right, and undermine the interests of key Republican donors. As worst, they threaten a global trade war, so opposition to reckless policy change will come from across the political spectrum. The second great book, Arthur M. Schlesinger Jr’s The Imperial Presidency, was written in 1973, just as the era of President Richard Nixon was drawing to its close. Schlesinger described an office quite different to Neustadt’s, in which the Presidency was beginning to run out of control. Foreign wars, most recently in Vietnam, had allowed presidents to accumulate unprecedented powers. Domestically, Oval Office incumbents were claiming ‘executive privilege’ in defiance of the separation of powers. Soon after the book was published, however, Nixon was forced to resign. In a reaction against the Watergate scandal and the excesses of the Vietnam War, Congress underwent a remarkable renaissance, reasserting its right to make policy, and creating the congressional Budget Office to restore legislators’ authority over the national budget. Schlesinger was quick to celebrate this resurgence of congressional power and the containment of the runaway presidency that it implied. But he observed that the new constraints on presidential power lay primarily in domestic affairs, where bad decisions are, in any event, usually reversible. Trump will be effectively contained in domestic affairs. Unfortunately, he will not be on such a short leash in foreign affairs. His hostility to climate change science threatens to throw away a decade of gains. His vulgar nationalism and support for strongman politics could quickly turn peaceful conflicts into violent ones. And his unwillingness to accept American responsibility to protect the international order will generate a new era of global political uncertainty. In foreign policy, where US presidents can make big and irreversible mistakes, there are still few limitations on the havoc that a lamentable leader can wreak. In these troubling times many South Africans have embarked on a spiritual quest for a higher authority to guide and protect them. A first significant congregation believes that the African National Congress (ANC) will be their provider and protector. False gods, they claim, are not needed to explain why the sun rises, the seasons follow one another, or the national economy grows: such phenomena are brought about by resolutions adopted at ANC conferences. The holy spirit of the national democratic revolution moves among us, its meaning partially revealed in the sacred liberation scrolls of the ANC’s “strategy and tactics”. Although the spirit acts as the source of strength of all mighty men (Judges 14:6) we must not be afraid when it produces unexpected results (I Kings 2:16 and Book of Joel (Netshitenzhe) 2:18). The power of the spirit enables the ANC to work its renowned holy miracles, such as building houses without engineers, generating electricity without power stations, and distributing wealth without first creating it. A second devout assembly believes that God is an eternal and supernatural Being. The Lord God, they claim, is the only true god, and his guidance to us — even on the practical affairs of man — is revealed in the Holy Bible. In this great book, for example, we learn to eschew astrology and divination, and so to reject the findings of the National Planning Commission. In previous decades, national leaders were transported from the Church into the practical world of politics. Today a reverse pilgrimage is gathering speed. President Jacob Zuma took the first steps in this collective spiritual journey of evasion when he allowed the eThekwini Community Church and the Miracles Gospel Church to confer upon him the honorary title of Pastor. Last weekend, ANC Youth league leader Julius Malema was similarly blessed at the African Methodist Episcopal Church in Pimville, Soweto. This event, which moved many observers to tears, prompted speculation that Malema will require divine intervention to prevail over Godless ANC secretary general Gwede Mantashe. A third pious assemblage, made up primarily of pilgrims to the Western Cape, insists that every soul is subject not to a Supreme Being but to a Supreme Law. Adherents of this cult of “constitutional law” are known to dress in dusty robes, to speak in indecipherable tongues, and to meditate devoutly on their sacred scrolls of “professional fees”. A veritable theological schism has recently opened up between cult leaders such as the Venerable Hoffman, who believe in the supremacy of The Law itself, and those, such as the current Chief Justice designate, who believe that God Himself directly determines the truth and who shall be chosen to arbitrate upon it. A final religious congregation consists of the devotees of a Supreme Being whose name is never openly spoken. This “unspeakable” former state president was once believed to have set South Africa on a hazardous route towards personalised power and the suppression of democratic politics. His followers now claim that His actions were motivated by a Godly yearning to avert the fragmentation, factionalism and corruption that have plagued the country since His forced departure from office. It is in some respects admirable that citizens continue to display a profound respect for the life of the spirit. It is troubling, however, that members of an avowedly democratic society still wish to rest on the crutch of an absolute authority when deliberating upon basic moral and political choices. These four Supreme Authorities brook no competition: each claims an immanent authority over the others. Conflicts over the proper dominions of God, the law, secular leaders, and the liberation movement cannot be brought to any conclusive earthly resolution. The dogmatic assertion of absolutist doctrines can lead citizens to overlook the responsibilities that truly matter — to reason and to their own hearts. Chief Luthuli and Oliver Tambo at Johannesburg Station, May 1959. Alf Kumalo. I babysat you, but now you are baas. I washed your diapers, but now I must go to hell. I saved you from a pool, but you shoot my child. I love you to earn your hate. I hosted you and lost my home. I became a human being to you, now I am an animal. I trusted your God, and it stole my land. Tshenuwani Farisani, In Transit. Grand Rapids, Michigan, Eerdmans Publishing, 1990. Cyril Ramaphosa at the launch of biography in January 2008. Linder Auditorium. You pushed me from the fat of the country to the homelands. You fed me a bogus independence. You made me a citizen of a banana republic. And made babies my rulers. You banned me from my country of birth, And called me citizen undetermined. ANC election campaign, Cape Town, 1994. Paul Grendon. Protest. Johannesburg 1986. Gille de Vlieg. Dennis Brutus, ‘Remembering June 16, 1976’, in Remembering Soweto 1976. Elmwood, Canada, Whirlwind Books, 1992. May 1960. Sharpville Funeral. More than five thousand people were at the graveyard. Photograph: Peter Magubane. that show their toes. Beware of these ladies when spring is here. geraniums pansies poppies carnations. They plant their seeds in our eroded slums cultivating charity in our eroded hearts making our slums look like floral Utopias. Beware! Beware of seeds and plants. Biography of Cyril Ramaphosa (Jacana 2007). Latest edition 2013. Contemporary South Africa. 3rd edition is just out (2017) from Palgrave Macmillan. Launch of The Idea of the ANC, The Book Lounge, Cape Town 2013. With Ronnie Kasrils. Gille de Vlieg. Forced removals, Cornfields, Natal, 1988. An edited collection on why and in what ways dominant parties change when they lose power. Jacana 2014. Very interesting chapters on Taiwan, Mexico, Malaysia, and others. My reflections on SA are perhaps less insightful. Suitable for all readers, but heavy going in places. Jacana 2012 and Ohio University Press 2013. A great book to write. There are some fresh ideas in here, and the photographs are spectacular. (Many of them are reproduced on this sidebar.) Written for the sophisticated general reader. Voter education, farm outside Potchefstroom, 1994. David Goldblatt. An edited collection about party funding. Great chapters on Mexico, Russia, Brazil, Malaysia, and elsewhere. Jacana 2012. My first book. Very hard to follow now. Not a good idea for general readers or students, but some of it remains of interest, in the light of Brexit and the Euro crisis. Macmillan and St Martin's Press 1995. What kind of president would Ramaphosa be? No need for democracy in China? What does the new technological revolution mean? Is it morally acceptable to be an Arsenal fan?